We are occasionally asked why The Human Potential Trust does not advocate a vegan lifestyle, instead of a strict vegetarian way of living. The following briefly outlines our response to this question of “vegetarian versus vegan”. A vegan is someone who will not eat any dairy products whatsoever, nor any other animal product such as honey; vegans will not wear wool. Other than this, there is no real difference than being a strict vegetarian. Vegans often consider themselves to be more ethically responsible than vegetarians; they believe the strict vegetarian argument to be incomplete. There are undoubtedly a few real issues that need careful thought and consideration. Milk production obviously involves cows first giving birth to calves. These babies are separated from their mothers and this can cause some degree of short-term distress. Out of the male calves, most will be “surplus to requirement” for the dairy industry and end up as part of the meat supply. Similarly, free-range egg production involves the need for some fertile eggs to be laid; again, the majority of the male chicks will be “surplus to requirement” and they are immediately killed. A vegan believes that a vegetarian who eats dairy products and/or free-range eggs is taking part in this animal cruelty. But is this necessarily true? Birds are purposely scared away from airports to prevent aircraft from crashing; this includes a degree of distress, but is it really animal cruelty? Young children often cry when separated from their mother, such as on their first day at school; we don’t equate this distress, which can sometimes appear quite traumatic, with cruelty. If a wildebeest calf in Serengeti is killed by a lion or hyena, its mother shows no sign of major distress; she will instinctively defend her young against attack, but when it is killed she carries on. When a cow calls for her calf (which has just been removed by the farmer), it sounds distressing; this is important for biological communication to work and contact to be maintained. But we think there is a definite difference between mild distress and cruelty. A number of genuine uses involving non-human consumption exist for “surplus to requirement” meat. Zoos of the past and present can be justifiably criticised, but zoos could have an important educational role if captive animals were kept in larger areas and if public education was improved. Some of the animals are carnivores; they eat meat. There are more tigers in zoos, for example, than tigers surviving in the wild; their natural habitat is under intense pressure. 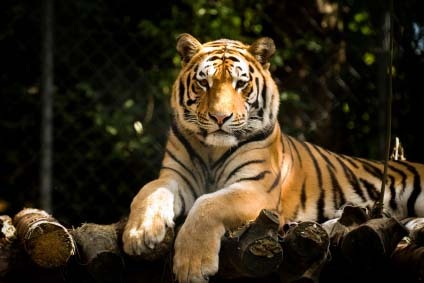 Tigers breed well in captivity and are excellent subjects for education. And they eat meat. Animal sanctuaries care for many sick and injured creatures. Owls, for example, have to be specifically given (dead) day-old chicks or small rodents; they will not even eat tinned cat or dog food. The diet of meerkats raised and kept in captive conditions also includes “surplus to requirement” day-old chicks. And finally, most obviously of all, many people choose to keep dogs and cats as pets. Keeping domestic cats may present an ethical conflict because they kill a lot of wild birds, small mammals, reptiles and amphibians. But there is no rational argument against keeping pet dogs. And dogs are carnivores; meat is their natural diet. So there are real ethical uses for “surplus to requirement” meat and day-old male chicks. For decades, vegans have claimed that all or most dairy cows suffer great misery from mastitis (inflammation of the udder). Here are the actual facts. The bacteria responsible for asymptomatic or sub-clinical mastitis can be found in between 15-20% of dairy cows. 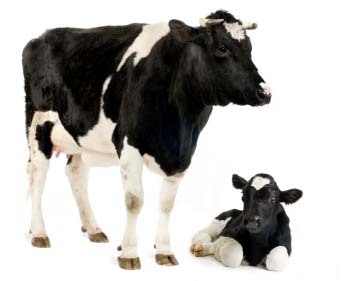 Sub-clinical mastitis is, however, very different from clinical mastitis; a cow which has bacteria producing the sub-clinical condition may never actually become ill. And the incidences of clinical mastitis has been significantly reduced since the 1960s. Furthermore, most cases of clinical mastitis are considered to be mild. We suggest anyone who is still concerned should visit and talk with several dairy farmers. The on-farm reality will be seen to be very different to what vegans often claim.